Sautè the thin sliced mushrooms in 1 tbs of butter. 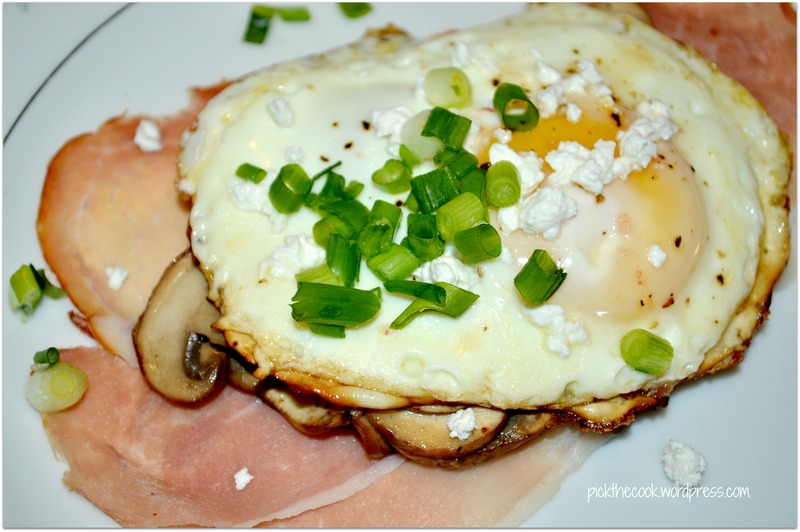 Place the prosciutto on a plate and cover with the mushrooms. Fry the egg in butter, season with pink salt and pepper. Place over mushrooms and garnish with slices of green onion and feta cheese.